Declaring bankruptcy can make all kinds of things difficult, including securing a car loan. However, when you get a car loan with a bankruptcy, you can get benefits such as rebuilding your credit and having a way to get to and from work. When you come down to the dealership, you can work with our friendly and knowledgeable staff to find the right terms for your needs. You can even shop for the right ride at the same time. Many times, we can get you approved in the same day. This can make your journey out of bankruptcy easier because you will take less time to get a ride to work as well as rebuild your credit with on-time payments and successfully completed car loans. This can help make it easier the next time you need a vehicle loan or other type of financing. 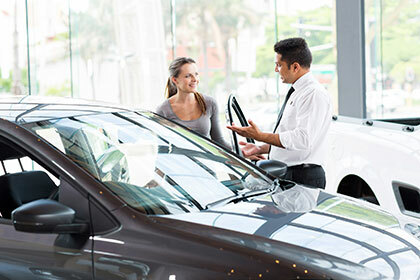 By working with us at the dealership, you can be more likely to be approved than if you go through a bank because our underwriters have more experience in working with car loans for those with a bankruptcy. We can also help you get into a vehicle more quickly because we have both Bank and In House Financing. At Pioneer Motor Group, we pride ourselves in having friendly and knowledgeable financial managers who will work with you to determine your options and protect your privacy. Our staff can help you find both the vehicle and the loan which will best fit your needs, whether you have a bankruptcy, bad credit or no credit at all. You can take test drives of our vehicles while our loan department works hard to get the best terms possible for your financing.